Getting a high SEO rank is essential if you want your website to grow and get regular traffic. Without traffic, a website proves to be a complete failure even if it has the most impressive design. There are various important factors that can take the rank higher or bring it down in no time. One of them is quality content. If your website is full of keywords only to get hits, you would not get proper readers. This is because if your website does not offer interesting information, readers would not spend enough time on it. 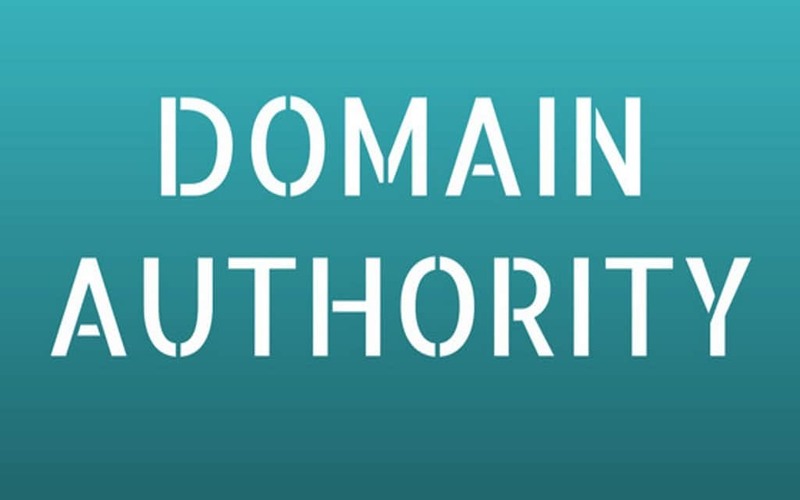 One of the most important factors that decide the rank of a website is Domain Authority (DA). DA is a metric designed by a professional SEO company called Moz. Today, it is being used to decide the standard of a website. Websites having a low DA score have a lower rank. On the other hand, if a website is well established and carries a higher user count. A new website has to work its way through to get a good DA score. Here are 10 of the many ways you can improve the domain authority. Before you start working towards a better domain authority score, you need to check where your website stands. The current rank of a website can help you in improving it. Moz, the pioneer behind domain authority allows content creators and developers to check where the website stands current using different forms of analytics. For instance, if a website does not have a good traffic count, it would have a low DA score and eventually a low SEO rank. Viewing the rank of your website would obviously provide major assistance for improving it. Most website owners do not use back linking to its full potential. This is mainly because they do not have a complete idea of how helpful it can be. When you have backlinks from prestigious websites, your own domain would climb the SEO ladders in quick time. This would obviously increase the rate of traffic and attract more users. As a result, your website would enhance in terms of popularity resulting in better business growth. To improve the DA score of a website, you need to check what it is lacking and highlight the weak areas. This is similar to checking what a class topper does that you do not do. Conducting a research on competitor websites which are getting better ranks would help in improving on a major scale. Based on a particular keyword search, you can compare two websites to see how one is better than the other. The “Domain vs Domain” tool by SEM rush is one of the many software applications used for this purpose. By comparing your website with the ones better, you would be able to view the improvements which you need to make. Back linking is not about stuffing your website with unnecessary links. You need to be selective in this relation as the quality factor is very important. Just like good quality back links can improve your rank on search engine results, low standard links can prove to be damaging as well. A good way is to audit your website and remove all kinds of spamming links. If you have malicious websites linked to you, it would be very hard to get a good DA score and acquire a good rank. Why would people visit a website regularly if it has issues related to the screen resolution? No one likes to view websites that require a lot of scrolling. This does happen if your website is not responsive. You would rarely find people using laptops and desktop machines to browse websites. People mostly use smartphones as they offer more compatibility to the user. As compared to computers, smartphones are easier to handle. However, if your website is not responsive, people using smartphones to view them would face problems. To start with, they would not be able to see the complete page on the screen at a time. Such issues do not leave a good impression on the user. Having a responsive website helps you getting a good DA score and climbing the ladder in terms of SEO rankings. Thus, to get a good DA score, make sure that the website is responsive and the web pages adjust according to the screen size. There is no doubt that Google penalizes websites which use black hat SEO and other illegitimate methods for back linking. It does happen that content developers use these methods to get more traffic. On the other hand, if you have spam links or links to malicious domains on your website, there is every chance that your SEO rank would go low. To avoid penalties, you have to make sure that your website does is not violating any policy of search engines. For instance, if you are using back linking as a method to improve DA and SEO ranks, use websites only if they have a good rank. Low standard websites can obviously hamper your DA score and SEO rank. A lot of users who do online surfing do not have technical knowledge about how navigating and finding links. Your website should be easy to user if you want a good user count regularly. Some websites have a complicated user interface and this hampers the overall user experience. How would you feel about a website if you have to go through several options to view your desired link? It is obvious that you would not want to return to the website. If your website is well designed, has quality content and still unable to get among the top ranks, it may have a hard to use navigation. Users avoid websites that require them to do a lot of searching. To get more traffic, try to keep things simple. Make sure that all the desired links are apparent and the user does not have to search for them. Proper user experience is not about an easy interface only. The usage of headings and sections is very helpful because they help in organizing the structure. For instance, if you have a “Home Page” and “Services”, customers who do not wish to view the company history and are only interested in what you sell would click the “Services” Page. On the other hand, if the customer has to go through the home page to check the services, he would obviously feel that the website has not been designed in a professional manner. Websites usually go down in terms of DA score when they are not audited at regular intervals. For instance, if you have spamming links connected to your websites for back linking, your website would have a low DA score. In most cases, website owners do not know about these issues as their websites do not undergo regular auditing. Having a link audit provides an assurance that only healthy legitimate links are being used for back linking. If you have quality content on your website, consider half the battle won. You need to include content that people like to read about. Other than that, try to make it as interesting as possible. You can have several regular visitors if your web content is informative and attractive at the same time. No one likes to wait for several minutes before a web page loads. If your website does not load in a quick manner and this is a persistent problem, there is every chance of not getting regular healthy traffic. Users do not like waiting when they browse websites. If they feel that the website is taking too much time to load, they would exit the page for an alternative option. With the passage of time, domain authority has become a very important parameter for the overall rank of a website. In addition to that, if your website has a low DA score, there are several ways which can be used to improve it. Other than that, negative parameters like penalties and spamming links have to be avoided for a higher DA score.